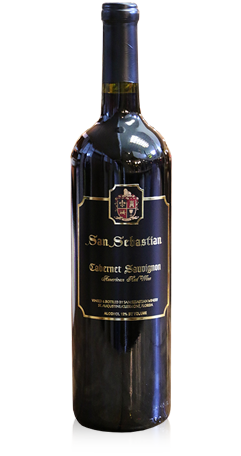 San Sebastian Winery was founded in 1996 at 157 King Street, St. Augustine Florida, the birthplace of American wine. 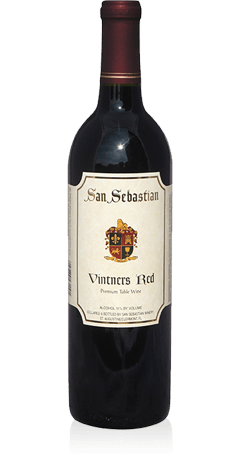 San Sebastian is among the very best of Florida's premium wineries, and is a pioneer in the development of premium, sparkling and dessert wines from Vinifera and Muscadine grapes. 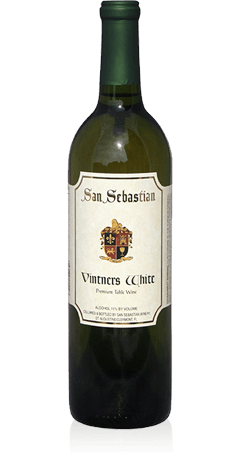 San Sebastian Winery produces Vinifera wine varieties such as Chardonnay, Pinot Grigio, Petite Sirah and Cabernet Sauvignon. Also produced are wines from varieties of Muscadine including Carlos, Welder and Noble. In addition to our still wines we offer one sparkling wine and two dessert wines, Port and Cream Sherry. 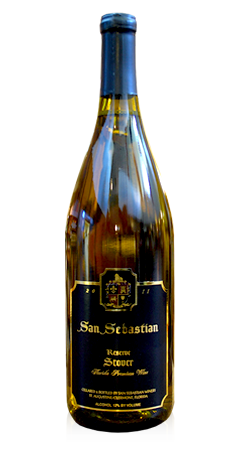 The majority of the San Sebastian wines are sold at the winery, however, they can also be found at large supermarkets and wine shops throughout the Southeast. 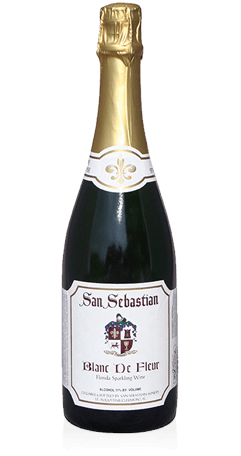 Together the San Sebastian wines have won over 650 awards for excellence with more coming each season. This white wine offers a classically smooth and refreshing medium body bursting with flavor. 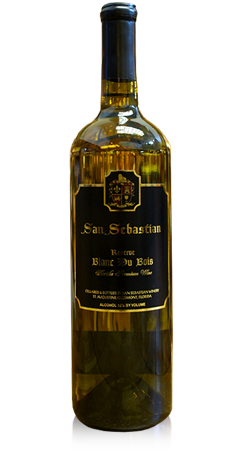 This richly flavored white wine feels smooth and silky on the palate with overtones of pear and melon. 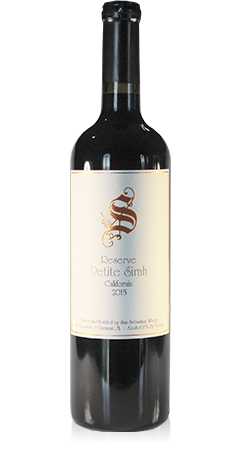 This very smooth, dry red wine encompasses a medium bodied finish with rich deep color and a hint of oak. Sought after for its uniqueness and beauty, this classic full bodied red wine offers a dark ruby hue, rich fruit and smooth texture. 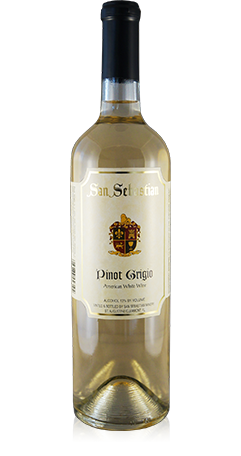 Pinot Grigio is a juicy, fruit forward wine displaying a harmonious blend of citrus and tropical fruits with a long, generous finish. 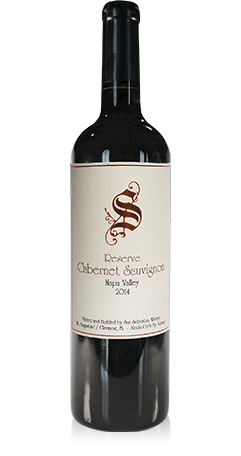 Napa Valley Cabernet Sauvignon 2014 This wine has a rich garnet color with a lovely plum nose and dense fruit with layers of complexity. Slightly sweet this wine is full bodied and packed with fruity character derived from the Native Muscadine. This wine is balanced to express intense fruit flavor derived from the Native Muscadine grape. The light and refreshing style of this wine is balanced perfectly with a hint of sweetness. 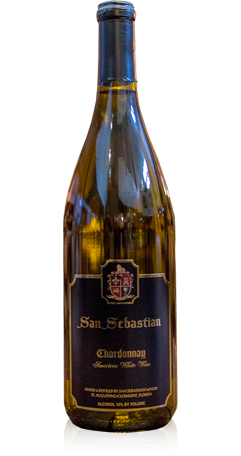 You will taste a delicious hint of apple in both the bouquet and flavor of this fine dry white wine. 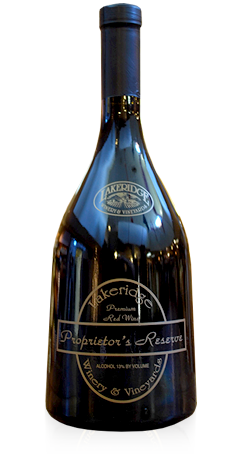 Is sure to enchance any occasion with its hint of fruit and sweetness and tiny bubbles. 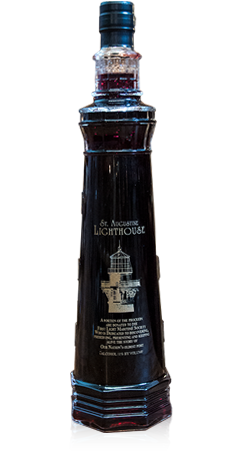 This bottle was specially designed after the actual structure of the St. Augustine Lighthouse representing one of the finest icons on the East Coast. Full bodied and sweet, this wine is wonderful for enchancing the flavor of any dessert. You may notice an intense burst of fruit on the palate, sip slowly to savor the sweet richness of this exceptionally smooth wine. 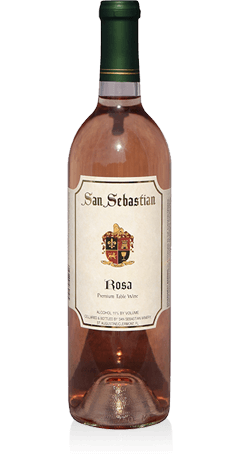 Execptionally rich and fruity this wine makes a perfect orchestration for a dessert wine. Fresh and delicious, this Ruby style Port has a unique hint of nuttiness and finishes a little lighter on the palate.